Somerset House is an inspiring space for art, culture and creative exchange in the heart of London that provides a glamorous backdrop to London's most famous ice rink. A 'must do' London activity for tourists and Londoners alike, this is an exciting opportunity to involve your brand and raise awareness of your products and services. Position yourselves as an aspirational brand aligned with an iconic winter event that engages with an affluent market of young adults and a trendsetting music focused crowd, encouraging trial of product, customer sign ups and driving sales. There are numerous avenues your brand can take advantage of alongside sponsoring, including the opportunity for onsite experiential activity and corporate hospitality. Attracting over 100,000 event attendees and 200,000 spectators sponsoring this prestigious experience will give unparalleled access to reward existing customers and extensive exposure to gain new ones. 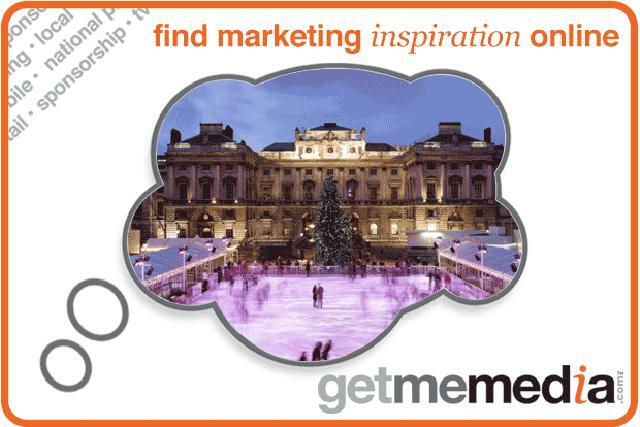 In addition, enjoy the benefit of access to Somerset House's far-reaching database that can be utilised in association with Skate and includes both event data from ticket sales and social media sites. This is a unique platform to gain brand awareness over a prolonged and key marketing period leading to Christmas.